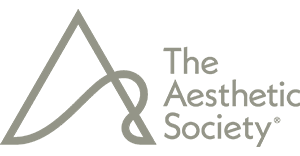 Dr. John P. Zimmermann is certified by the American Board of Plastic Surgery and is experienced in comprehensive array of surgical and non-surgical cosmetic enhancement treatments. As the founder and medical director of the Aesthetic Surgery Center of Napa Valley, Dr. Zimmermann’s top priorities are offering patients the safest, most effective procedures to help them realize their goals with results that look natural and beautiful. 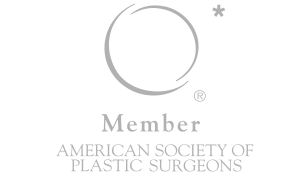 Please take a look at this brief overview of Dr. Zimmermann’s biography, and contact us today with any questions you may have. An extensively trained and experienced plastic surgeon, Dr. John Zimmermann has devoted his career to helping people renew and rejuvenate their appearance. After earning his medical degree and completing service in the military as a flight surgeon, Dr. Zimmermann obtained advanced plastic and reconstructive surgery training at the prestigious Stanford University Medical Center, and opened his own practice not long thereafter. 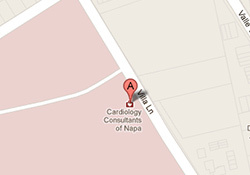 In addition to his work here at the Aesthetic Surgery Center of Napa Valley, Dr. Zimmermann is also a Clinical Assistant Professor with the Division of Plastic Surgery at Stanford University School of Medicine. 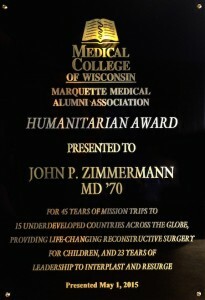 Medical College of Wisconsin (previously Marquette School of Medicine), Milwaukee, Wisconsin, Doctor of Medicine, Honors graduate, 1966-70. Marquette University, Milwaukee, Wisconsin, Bachelor of Science – Biology and Chemistry, Graduated with honors, 1963-66. Whether you are looking to add volume to the breasts, eliminate excess fat pockets, or reduce signs of age or skin damage, Dr. Zimmermann can help you attain your goals with natural-looking results. – Dr. John P. Zimmermann, M.D. Dr. Zimmermann recently completed a very busy seven-day surgical stint through Singapore, Malaysia, and South Korea. Dr. Zimmermann was invited to lecture and demonstrate new, state of the art, relatively non-invasive, surgical techniques in facial plastic surgery to various clinical congresses sponsored by several Asian Societies of Plastic Surgery. 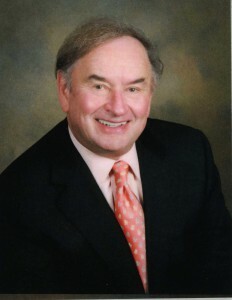 Dr Zimmermann performed twenty surgical procedures and conducted four lectures on the new facial surgery techniques to over 300 surgeons throughout Asia. Dr. Zimmermann was interviewed by several radio stations, along with print media such as Shape magazine (Asia), and Cosmetic Surgery, and Beauty magazine during his visit. Invitations have already been extended to return to South Korea and Malaysia to speak at their Plastic Surgery National Meetings. Dr. Zimmermann has also fielded requests from the Philippines and Thailand to teach the procedure in those countries as well. 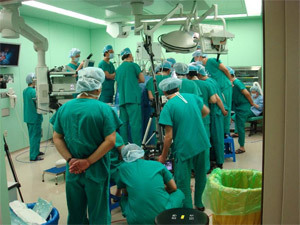 *Photo left: Surgeons from Seoul, South Korea position themselves to get a view of Dr. Zimmermann performing the new facial surgery procedure. 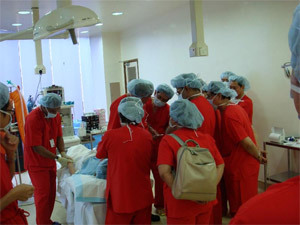 The procedure was also broadcast on closed circuit TV to other surgeons throughout the hospital. *Photo Right: Dr. Zimmermann offers pre-surgical instructions to surgeons from Kuala Lumpur, Malaysia. Mission: providing free reconstructive surgery to indigent populations around the world. 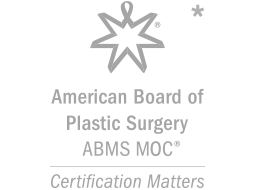 Frederick Finseth, M.D., John P. Zimmermann, M.D. and Donald Liggins, F.R.A.C.S., “Prevention of Muscle Necrosis in an Experimental Neurovascular Island Flap by a Vasodilator Drug -Isoxsupine”, Plastic and Reconstructive Surgery Journal, Volume 63, Number 6, Pages 774-780, June 1979. 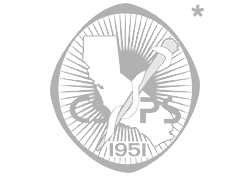 Frederick Finseth, M.D., John P. Zimmermann, M.D., “Prevention of Necrosis in Island Myocutaneous Flaps in the Pig by Treatment with Isoxsupine”, Plastic and Reconstructive Surgery Journal, Volume 64, Number 4, Pages 536-539, October 1979. 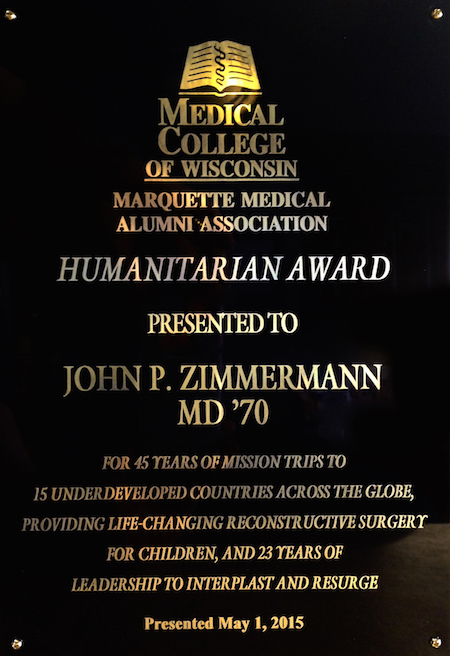 Humanitarian Award from the Marquette Medical Alumni Association in May 2015 for 45 years of mission trips and 23 years of leadership. If you would like to learn more about Dr. Zimmermann, or if you would like to schedule a consultation here at our practice to talk about your goals, please contact the Aesthetic Surgery Center of Napa Valley.